This color just pops out at you the way they are blended together. It's like a party is on the canvas. Loved the way this one turned out blending the colors together. Check with the size so you know exactly where it will fit on your wall. 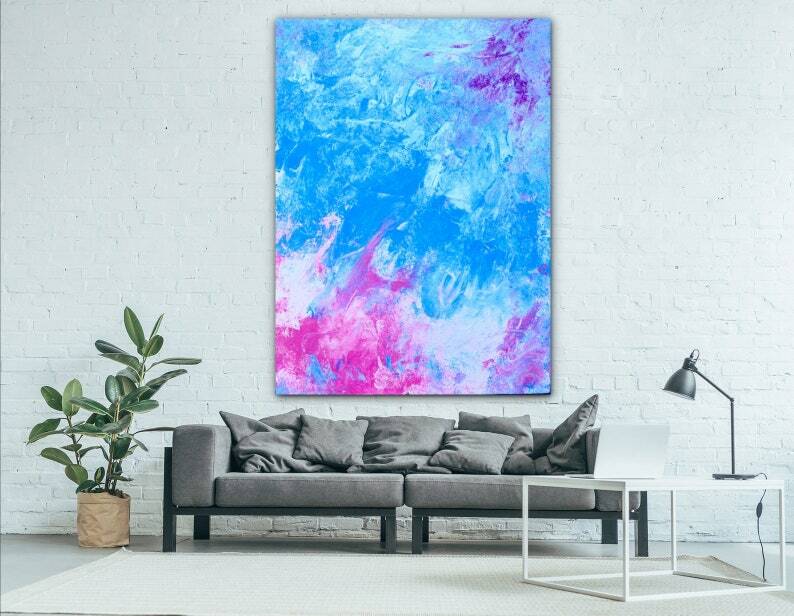 Colors: ocean blue, bright pink, light pink, purple & white on canvas. The sides are painted blue no frame necessary. The back signed, dated and wired so it's ready to hang. I will take every measure to make sure your painting arrives on time and in perfect condition.